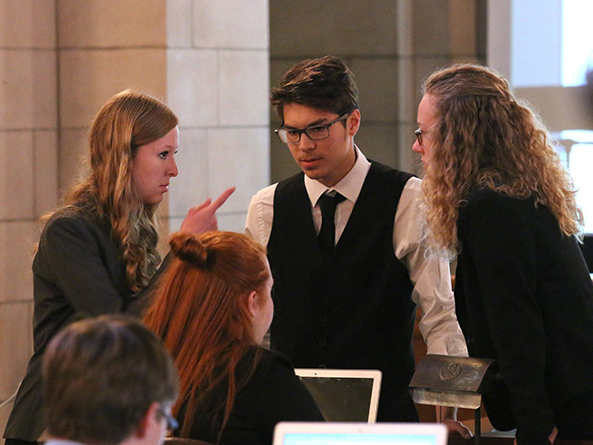 “Adopting the role of a student senator is the most engaging and memorable way that students can learn about the legislative process,” said Ami Johnson, the Legislature’s civic education coordinator. The deadline to register is May 15. Registrants are encouraged to apply for the Speaker Greg Adams Civic Scholarship award, which covers the full cost of admission. Applicants must submit a short essay. Other $100 scholarships also are available. The University of Nebraska-Lincoln’s Extension 4-H Youth Development Office coordinates housing and recreational activities for the camp as part of its Big Red Summer Camps program. To learn more about the program, go to www.NebraskaLegislature.gov/uyl or call (402) 471-2788.